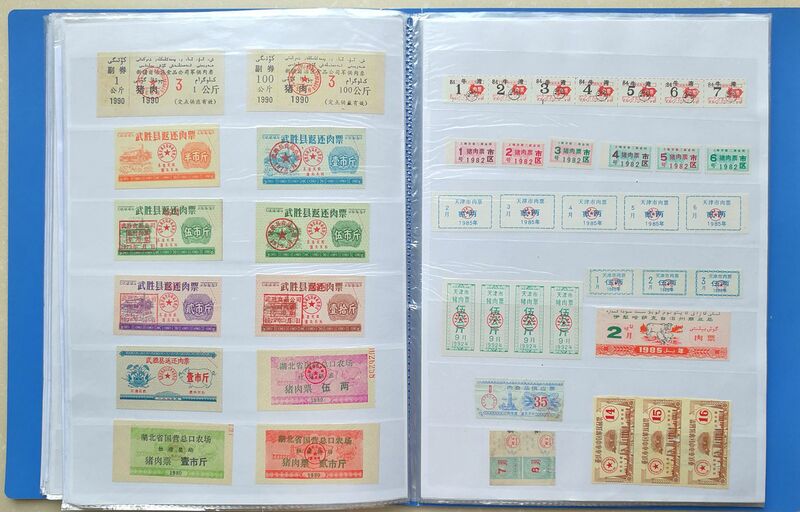 H2001, Album of 1200 pcs Ration Coupons, China 1960-1992. All in VF/XF condition. With a beautiful album. Please refer the pictures. 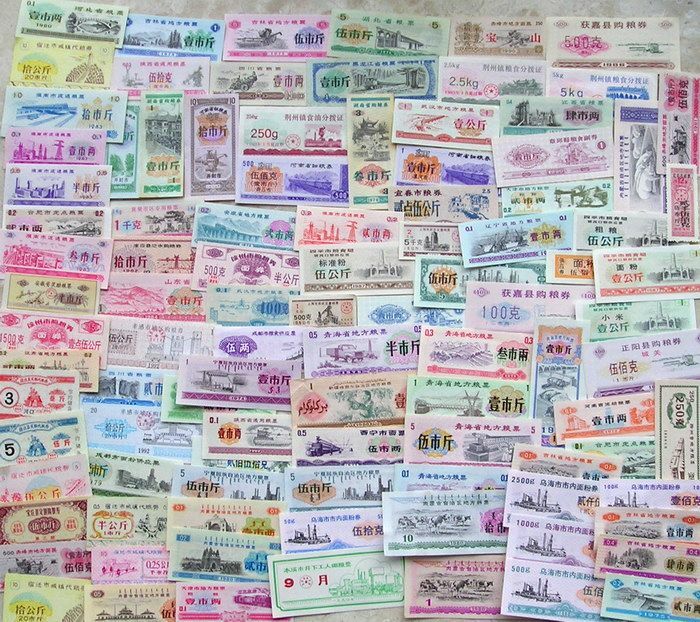 1200 totally, around 800 pcs different. 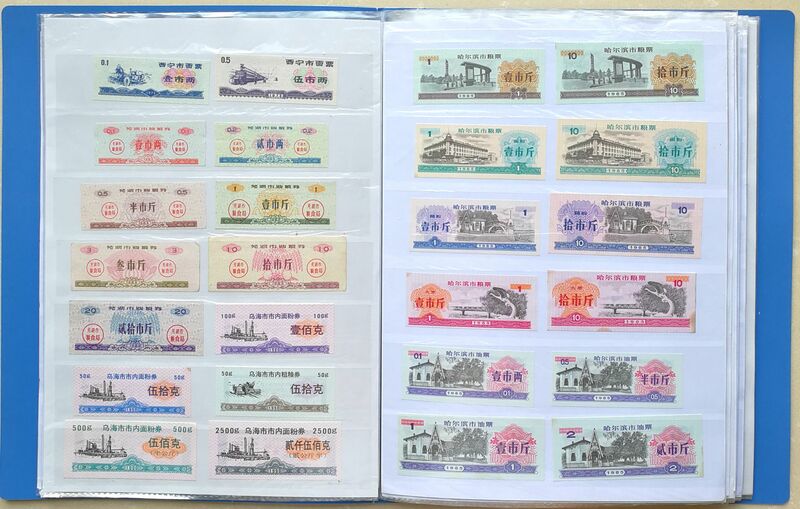 Issued by 100 different national and local governments of China during 1960 to 1992. 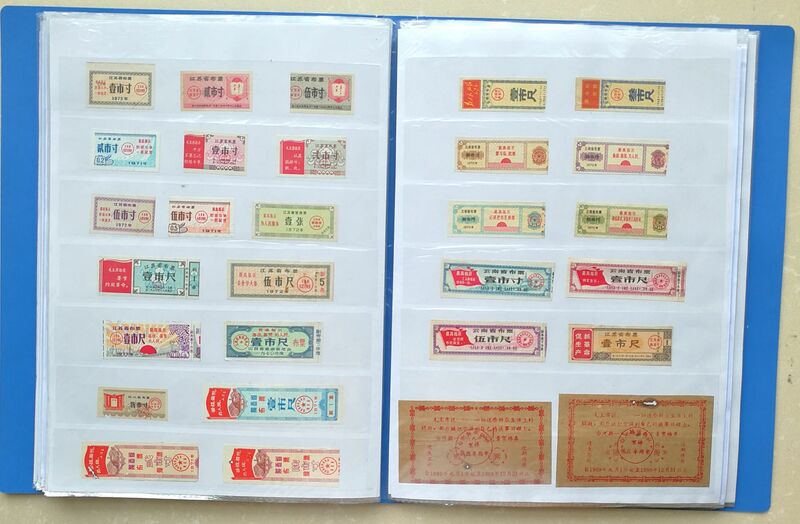 This item includes food, cloth, cotton, pork, wine, wood, and some other ration coupons. Total weight of the coupons and album: 1.1 Kilogram.